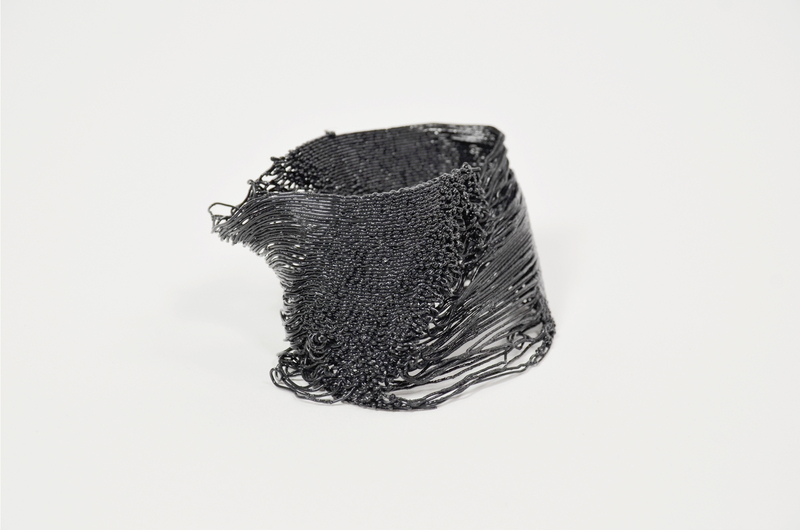 This experimental series of tests is a step forward in a larger research project focused on the exploration of the possible interactions between digital computation and complex and selforganizing physical processes. 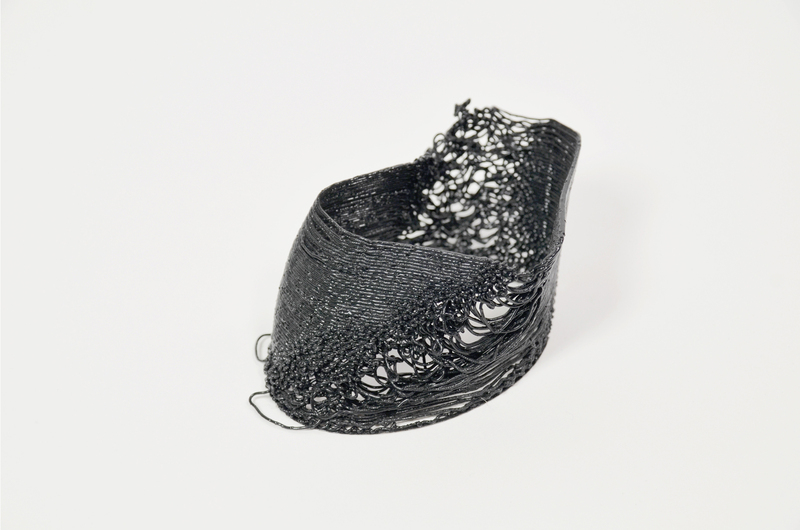 The series is developed on the base of a small block of code refined during the preparation of the workshop ‘BioLogic:living structures and swarm bodies’ and aimed to facilitate direct interaction from Processing to FDM 3Dprinters through the generation of G-code instructions. 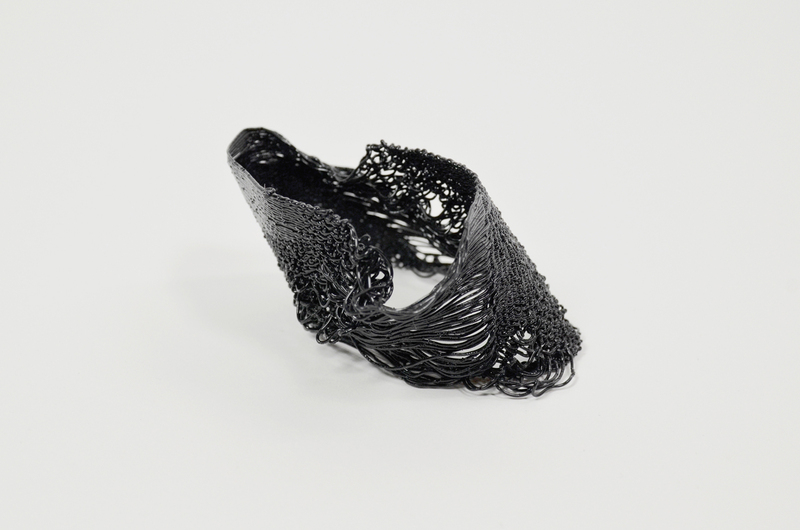 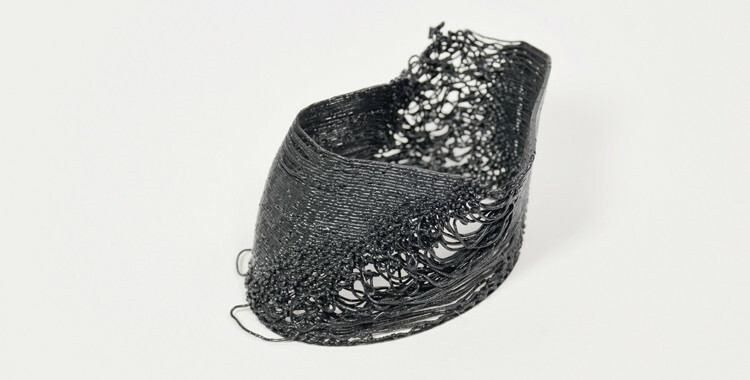 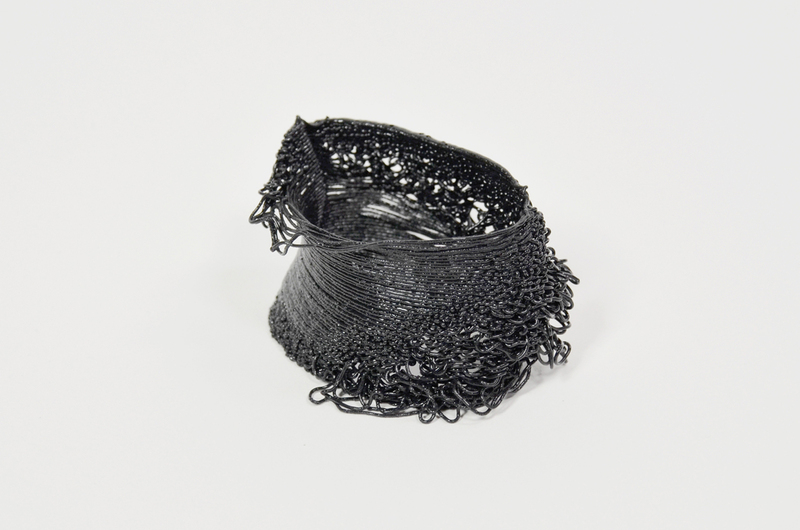 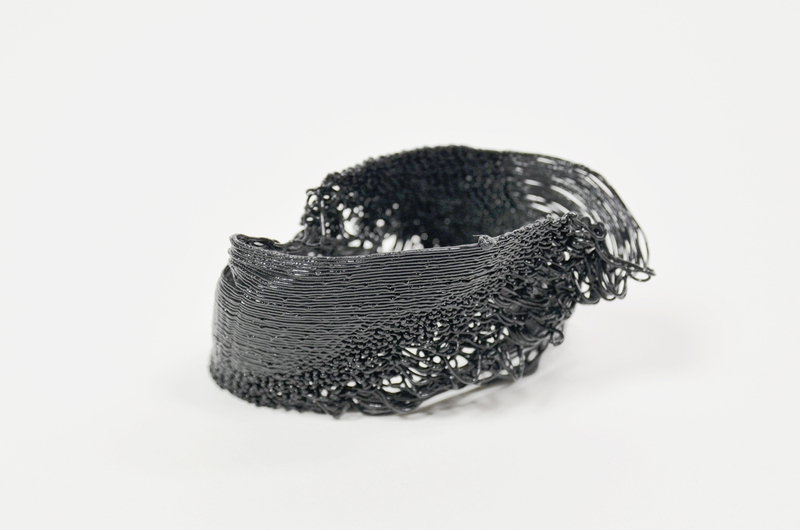 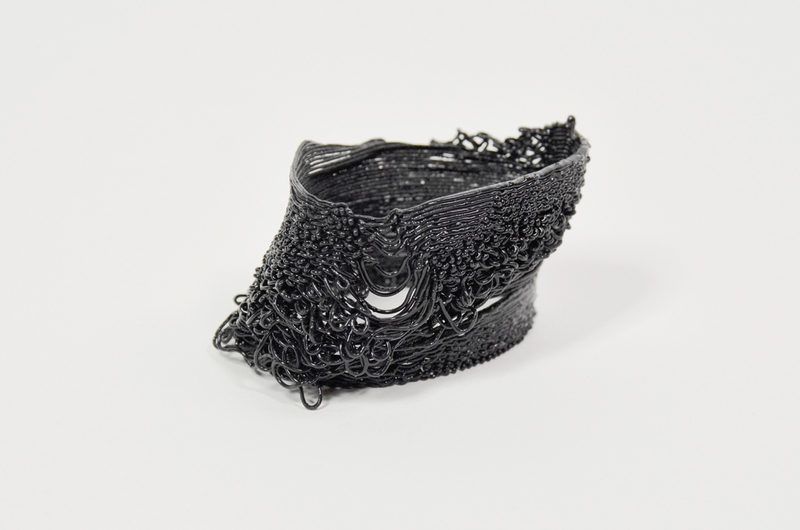 The produced objects try to combine the potential offered from generative strategies in the exploration of non-standard deposition processes and the capacity of plastic threads to self-organize in curly geometries once extruded from the 3D printer. 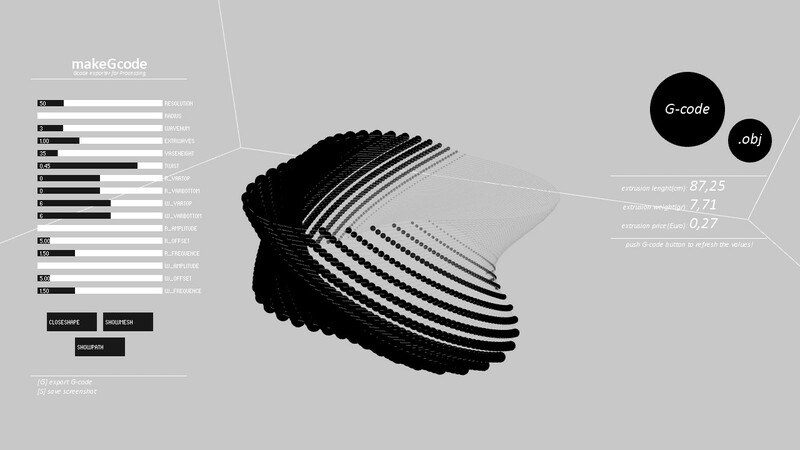 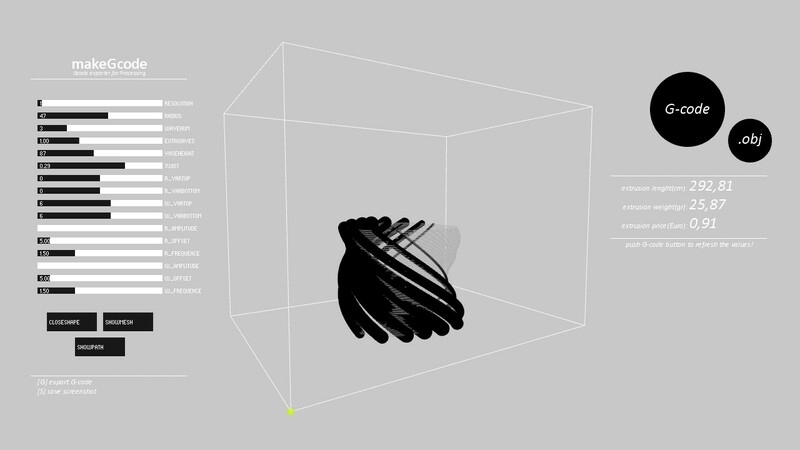 Once a comprehensive catalogue of variations was completed, some of the observed behaviours was reproduced in a series of more complex formations where the values of one or more parameters was varied according to different design purposes to modulate structural, aesthetical or performative qualities in the final objects.